This is the first in a number of posts on the UK series Broadchurch. In each post I will expand upon different aspects of season 1. Out of respect for those viewers currently enjoying the series I will avoid spoilers until my last post. Broadchurch is a masterpiece and in a very short period of time I became entirely engrossed in a small community where I cared for some, detested others and had absolutely no idea who the killer was. I don’t believe I am giving anything away by saying that season one is centred around the murder of eleven year old Danny Latimer (played by Oskar McNamara). While the hunt to discover Danny’s killer is always at the forefront, it is the characters of the town who provide the real insight into human behaviour. The tragedy of Danny’s murder, the resulting police investigation and intense media scrutiny unearth an array of histories and secrets, many of which had no need to see the light of day. Let’s start with the cast. 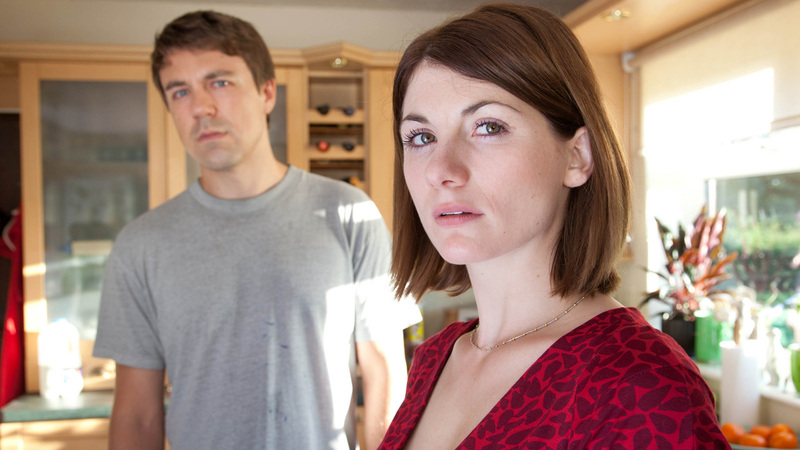 Jodie Whittaker and Andrew Buchan are outstanding as Beth and Mark Latimer, Danny’s parents. While they initially seem like a happily married couple it doesn’t take long for cracks to show. I wondered about both of them at times and the secrets they might have, forming my own hypotheses. Some of these were realised; others were totally unfounded. The intelligence of the writing is that there are so many red herrings throughout the season. My imagination did run riot at times. Danny is not their only child though; he has an older sister, Chloe. Chloe has her own secrets…but are any of them connected with Danny? Charlotte Beaumont is convincing as the grieving sister – grown up in so many ways, and yet still a child – who sees her family falling apart and is desperate for Danny’s murderer to be brought to justice. Much of her frustration is aimed at the Police in charge of the investigation. This brings us to the brilliant David Tennant who plays Detective Inspector Alec Hardy. In addition to it being refreshing to hear Tennant in his native Scottish accent he is perfection as the haunted DI who arrives in Broadchurch with dubious health and a big question mark over his professional competence. Hardy is a man of mystery, and of few, gruff words. Although he is committed to solving Danny’s murder he outwardly cringes in having to deal with the small town inhabitants. At best his social skills come across as awkward and forced. This is only one of the things that his second in command, Detective Superintendent Ellie Miller, struggles with. Before they have even met, Hardy puts Miller off side as she was hoping for the promotion that he was given. Olivia Colman is spectacular as Ellie as she walks the heartbreaking line of maintaining professionalism while having to be suspicious of all of the people in her community. Her son Tom (played by Adam Wilson) knew Danny well and as a result the families are connected. It is fair to say that this connection influences Miller. While there is little love lost between Hardy and Miller they do have an entertaining relationship. In this intense, dark drama it is often their interaction which provides a little light hearted humour. One thing that Hardy and Miller both agree on, though, is the media. While Hardy has no difficulty keeping the media at arm’s length, Miller has a harder time of it as her nephew, Olly Stevens, works for the local paper. 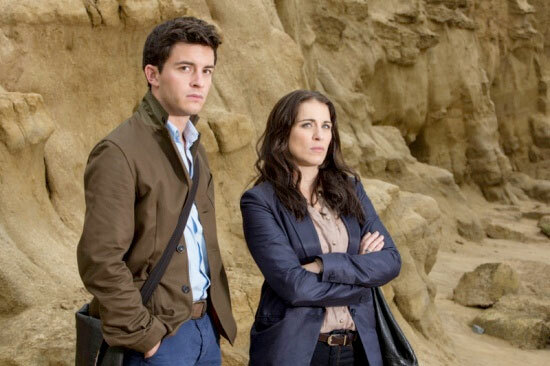 Jonathan Bailey plays Olly scarily well, with an eagerness to get ahead in his career and a willingness not to hold on to his ethics. Olly’s boss at the paper, Maggie Radcliffe (played by Carolyn Pickles) seems to have a greater respect for those within her community and for her accountability as the editor of the local paper. However, even her resolve is tested as the weeks go by. The characters from the newspapers and the role that they play in the search for Danny’s killer is nothing less than chilling. None more so than the reporter Karen White from The Daily Herald. Vicky McClure is despicably brilliant as Karen and I was repelled by everything she did. Her character is bordering on amoral and nothing she does is without motive. The harm she orchestrates and is an active participant in has devastating outcomes. In saying that, it is the self-denial and justification that lets her sleep at night, which endures as one of her most disturbing traits. 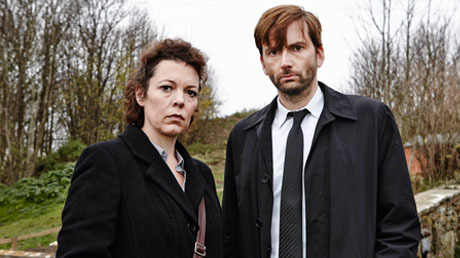 The media plays a central role in Broadchurch as they disrespect the police investigation and pursue their own agenda. If you want to be amongst the first people to read my next post – Suspects..they are Everywhere – follow tvweakness on Twitter and like tvweakness’ Facebook page.